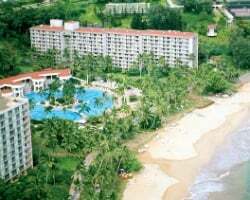 Escape to Hawaii's magical Garden Isle with the timeshare resales and rentals at Marriott's Kauai Beach Club. Find timeshare units priced up to 70% below retail costs today. Prepare yourself for days filled with sunshine, nights filled with excitement, and a world filled with lush natural beauty. Marriott's Kauai Beach Club resort puts the awe-inspiring scenery of Kauai front-and-center with oceanfront accommodations and expertly-maintained grounds. Walk out to Kalapaki Beach or stay on the resort's grounds to enjoy the many amenities which include a full service spa and the Hokuala Golf Club's Ocean Course. With plenty more to offer, like six amazing dining options, you'll have no shortage of things to do and see around your new vacation home within the Kauai Beach Club. Speaking of home, you'll feel as if you've wandered into a magazine ad for an upscale beach villa with the accommodations at the resort. From simple, yet elegant guest rooms, to spacious two bedroom units, you and your group will have all the space and comfort you require to truly enjoy Hawaii. Perfect for beach bums, outdoors enthusiasts, or anyone looking for some rest and relaxation, the homelike accommodations at the Marriott Beach Club Kauai will allow you to guarantee great trips every year. 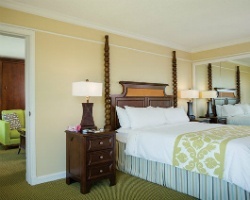 Are you ready to lock down your very own accommodations in Kauai? Take advantage of the affordable timeshare resale and rental advertisements available at the resort today. Fill out the form on this page to learn more about ownership options, or call a representative at 1-877-815-4227 today. Buying a timeshare resale at the Kauai Beach Club will enable you to save thousands on luxury accommodations every year. Timeshare resales are listed by their current owner, which means that prices are often much more realistic than what the resort itself offers. 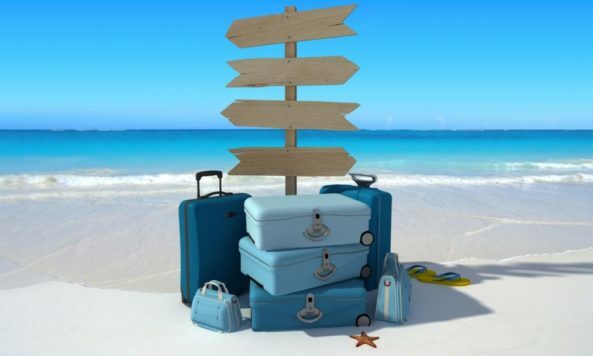 With prices reaching discounts of up to 70% off retail costs, you can secure the same great vacation solutions without breaking the bank. Timeshares at the Marriott Kauai Beach Club resort typically come in the form of deeded fixed or floating timeshare weeks. This type of variety will allow you to find an ownership interval that matches your vacation preferences without having to settle. Timeshares are available at the Kauai Beach Club resort in Marriott's Platinum and Platinum Plus seasons, offering you even further flexibility with price point and ownership type. As part of the Marriott Vacation Club, a timeshare resale at Marriott's Kauai Beach Club could enable you to enter one of the world's largest and most popular vacation ownership brands. Kauai Beach Club timeshare resale owners can start booking accommodations during their fixed or floating week at the resort immediately, but you could also have a chance to unlock even more perks and benefits. Upgrading into the Marriott Vacation Club Destinations program will allow you to use points to make more flexible reservations at the Kauai Beach Club, as well as at other Marriott resorts. Marriott's Kauai Beach Club is affiliated with Interval International, the world's second largest timeshare exchange company. As a timeshare resale owner at the resort, you can deposit your week into Interval's database to exchange for other timeshares in their catalogue. You'll need a separate membership with Interval International, but your timeshare resale at the Kauai Beach Club could take you all over the world. What's more, the Kauai Beach Club is an Interval International Premier Resort, noting its above-average accommodations and amenities, as well as positive guest reviews. 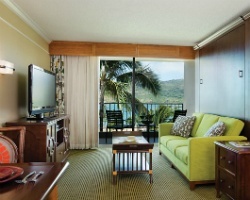 You'll find a variety of exciting amenities and convenient on-site services available at the Marriott Kauai Beach Club. The resort's swimming complex incorporates distinct Hawaiian architecture with an expansive heated swimming pool decorated with waterfalls. The full-service Alexander Day Spa features treatments and rejuvenation remedies designed to get you into relaxation mode. For those who seek all the action of the beach, Kalapaki Beach is located just outside the resort. You'll also be able to find watersports opportunities like snorkeling, surfing, and scuba diving virtually anywhere out on the water. The Lihue area is filled with things to do and see, such as Wailua Falls, Huleia National Wildlife Refuge, or the Menehune Fish Pond. Around Kauai, you can explore sites like Na Pali Coast State Park, Waimea Canyon State Park, and the scenic Kalalau Trail. 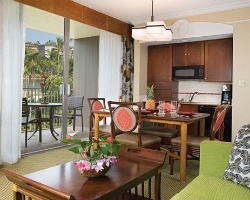 Already Own at Marriott’s Kauai Beach Club?